After writing about songs, EPs, and full lengths for a long time, it can become almost like a default reflex, for a reviewer to mentally mark down benchmark characteristics like “well-produced,” “lo-fi,” once instruments and vocals kick in a track. There’s an understandable connection to one’s own experience with this default, not being the last word on a piece of music or album but, it can also become a hindrance because like any other semi-automatic thought, the conclusion is quickly drawn without too much purposeful depth. This was the starting point for State of Mind, the debut full length by Detroit, Michigan rock band, Citizen Zero. Due out 12 August 2016 via Wind-up Records, the 11 track album follows a debut EP titled, Explodes, released independently in 2012. Letting the album run its course all the way though, the “well produced” first instinct is correct. Kick beats are defined and highlighted in the mix (“Go (Let Me Save You)”) and lead guitar solos (“Come Away,” “Bangin’ in the Nails”) showcase plenty of tonal texture and bite. Not to mention, the actual performance of the solos is what shows Citizen Zero’s appreciation for bands like Stone Temple Pilots and Guns N’ Roses – but no picked note contains even the slightest bit of natural fuzz or crackle. State of Mind is a record full of polish and there’s no denying it after hearing equally distributed treatment across several tracks. However, what’s better than an album that manages to knock a listener off their axis after establishing a pattern? Listeners might be hard pressed to believe a curveball will appear after a few tracks of present them with noted similarities but just when it might seem like a listener will bow out, there are enough smaller choices that turn the ear and keep the interest in seeing what will come next. The titular song, four tracks in, does this nicely: a quick bit of drum fills run through a very cranked high pass filter around the 2:30 mark create a windy, crackling sound that stands out against the rest of what’s been heard. Once the closing track, “Home,” rolls around, the shock in just how many more songs have played through since the initial impression, might set in. 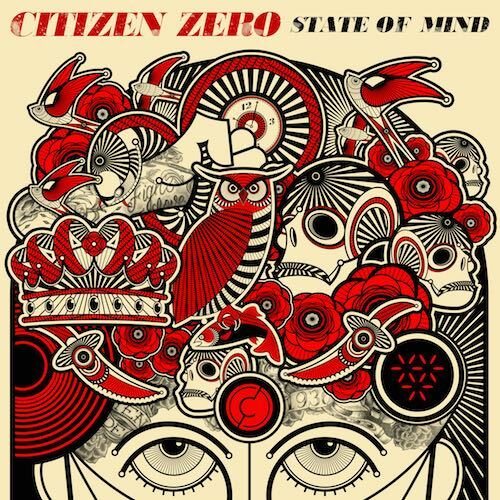 Closing the album with a track that is both vocally exposed and melodically singable sees Citizen Zero going for the classing wind-down on State of Mind’s wrap up. Listeners are left with a song that emits nothing but resolution. The track does so thanks to lyrics (I’m coming home / to a place where I’ve felt I belong / Resting my soul in a ghost town I call home) and a friendly melody that can be interpreted as peaceful, optimistic, and-or perhaps inspire contemplation of one’s own personal difficulties, which is far more intimate of a songwriting mindset than the album’s beat and tempo driven first half might have initially lead anyone to believe Citizen Zero looking to display. State of Mind is a powerful debut; one that is bound to leave many positive impressions with patiently waiting, long time fans or new ones who will come to find them post-release. 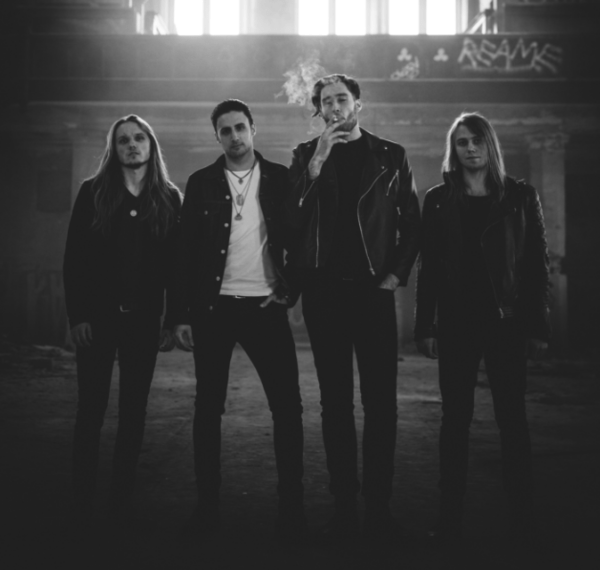 The band’s particularly favored vein of hard rock has many places it can fit – parties, workouts, long drives with open windows and a cranked bass. The bit of sameness that almost felt like an ingrained weakness was just the surface layer. If anything is a weakness, it’s that State of Mind, does require a little extra patience to get to experience its full range of tonal and lyrical offerings, which is a big hurdle in today’s fast-moving world of entertainment. That in mind, much like the like the slightly deeper explanation of this review, give State of Mind some extra attention and hear what it has to say from start to finish. While the record have been assembled with a smooth listening experience in mind, State of Mind proves itself as a debut not simply set and left on sonic cruise control. State of Mind is due for release on 12 August 2016 through Wind-up Records. Pre-orders are available now though HERE. Catch Citizen Zero live throughout the month of August, which includes an NYC show ahead of their release, at American Beauty, Thursday, 4 August. Tickets for that show are HERE. Full tour info is below.